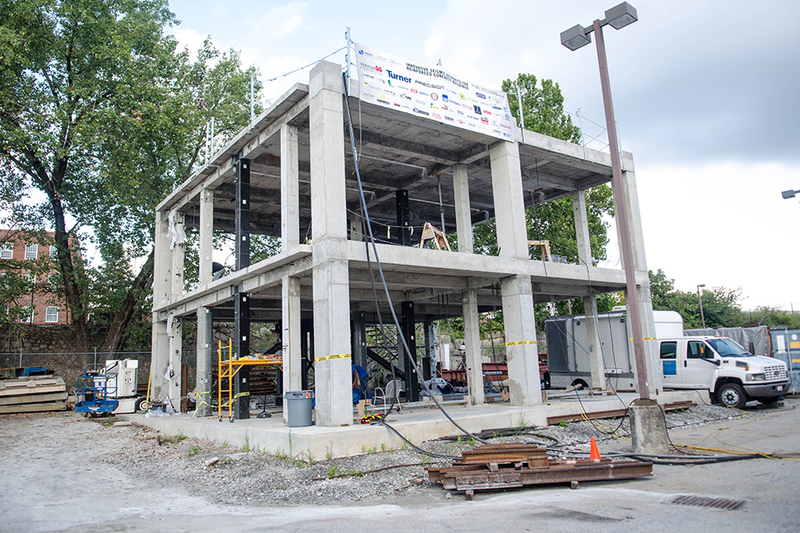 On Monday, the School of Civil and Environmental Engineering conducted a number of tests on a mock structure with the goal of collecting data about the impacts of earthquakes. The project is intended to improve existing infrastructure against earthquakes. Professor Reginald DesRoches led the team of students, who worked in and around the structure lab throughout the past few weeks in order to construct a building that would be the target for the testing. DesRoches and his team hope that their work may be helpful for developing resistance against earthquakes in locations around the world. Infrastructure in many places is currently very outdated, and many lives are put at risk each day due to nonexistent measures against earthquakes. Implementation of data from this new research will certainly help in improving the safety of large numbers of people worldwide. Although they have only just begun to sift through the troves of data they have collected, DesRoches says his team have been able to come to some conclusions already. According to DesRoches, the work on discovering the best ways to rehabilitate structures for maximum earthquake resilience is ongoing. Currently, he and his team will be spending time analyzing the data gleaned through this recent test. “We will not be able to quantify the [improvements] until we evaluate the data,” said DesRoches, further stressing the importance of not only conducting the experiment, but of gaining meaningful knowledge. According to DesRoches, once the data is evaluated, it will be used to rehabilitate buildings all across the United States to make them safe against earthquakes. The Civil Engineering department hopes that the experiment will boost their status as a national leader in the field of earthquake-damage prevention and further research in this area.